Where is West Korea? Many people would be confused by that name since Korea is divided between north and south. But if you log on to Weibo, China’s version of Twitter and the hottest social media platform in China, you may find the answer: China. In the eyes of most Chinese cyber citizens, North Korea is a non-democratic country which is dangerous, arrogant, isolated, and heavily dependent upon China. When Jang Sung-taek, commonly referred to as the second most powerful figure in North Korea after Kim Jong-un, visited China last month, the South Korean media speculated that Jang would seek a U.S.$1 billion loan for economic development. Although this has not been confirmed by China or North Korea, Chinese cyber citizens on Weibo were enraged at the prospect of such a deal. They speculated that China will probably give in to North Korea’s request, as China has always been Pyongyang’s largest benefactor. These Chinese are further angered by a lack of transparency in these dealings as the actual amounts given are never revealed to the public. Despite China’s enormous support for North Korea, the latter does not fulfill Beijing’s conditions or requests regarding several major issues. For example, North Korea has disregarded China’s interests and concerns when it carried out the two nuclear tests, attempted to launch a satellite back in April, and pursues its “independent development” instead of adopting the Chinese model. With the Chinese government trying to support North Korea, and receiving short shrift in return, many citizens are also criticizing China’s North Korean policy through social media. With the recent development of social media as an additional and innovative medium of communication, it is now easier for many Chinese citizens to convey their feelings through the internet with greater freedom, thereby allowing the democratic consciousness of the Chinese people to grow. Even with the Chinese government’s censorship, smart cyber citizens have found ways to circumvent the firewall in a clever and subtle way. For example, the Chinese Communist Party is satirized as being “West Korea,” meaning that it is increasingly similar to North Korea. 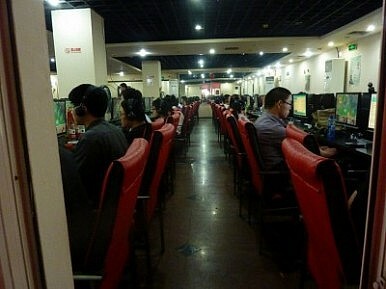 But in fact “West Korea” is only one example of Chinese cyber citizens’ criticism of the government. There are numerous other cases of such dissent. However, behind the satire lies the critical issue of a growing lack of trust between the people and the government. This situation has already hurt the country’s political stability and could have dramatic consequences for Chinese society as a whole. In fact, in many ways this situation mirrors that of the late Qing Dynasty. The Qing Dynasty was the last imperial dynasty of China. As the Qing Dynasty declined, two opposing factions emerged to try and formulate a new order. On the one hand was the Constitutionalism Faction, which sought to maintain the monarchy with limited powers and under enhanced constraints. On the other side of the debate was the Republican faction while wanted a complete break with monarchical rule and the establishment of a Western-style republic in its place. A century later, China seems to be moving back to the future with two major factions waging an ideological struggle. The first camp, consisting mainly of left-leaning public intellectuals seeks greater Westernization of the country. On the opposing side are the so-called “Fifty Cents,” who are believed to be an online "army" of commentators hired by the government to submit posts that praise the Communist Party and its policies. These two groups are roughly similar to the Constitutionalism and the Republican Factions of late Qing Dynasty. And like their predecessors in 1911, today’s left and the right-leaning factions are in fierce competition. The point of contention back then was whether or not to maintain the monarchy. Today, the Chinese Communist Party is the new monarch whose raison d’être is being hotly debated.